Following, from Dr. Walt Chappell, a discussion of Kansas school spending. Chappell served on the Kansas State Board of Education from 2009 to 2012. The truth is, Governor Brownback and most Kansas legislators have worked hard to get more money into K-12 classrooms and have increased funding to educate our children each of the last four years. Claims that funds for schools have been cut, supposedly causing test scores to drop, schools to close, class sizes to go up and college tuition to increase are totally false. Yes, there was a large reduction of $419 million to fund Kansas schools in 2009 when Mark Parkinson was Governor. The 2008 Great Recession hit Americans hard and state tax revenues dropped like a rock. Then, in 2011, the Federal government stopped sending emergency TARP funds to all states. The Kansas Legislature made up the $219 million in Federal cuts by raising the amount spent from state tax revenues by $223 million. Brownback signed that budget bill. Before Kansas voters can decide who should represent them in the state Legislature, we must have accurate information. This is especially important when it comes to which candidates will make responsible decisions about how to improve our schools. Some campaign mailers and editorials claim that student achievement has improved and funding for Kansas schools has been drastically cut. Neither is true. As anyone who has gone to school knows, getting 40 or 50 percent on a test is failing. Yet, by lowering the bar so low that nearly all students appear to be “proficient,” the state education staff have mislead the legislature, voters, and parents into thinking that our students are learning what they need to know to compete for jobs in the global economy. But, this spring’s results on the ACT test show that only 29 percent of Kansas students are ready for college. On the national NAEP test, less than 40 percent are proficient. Even though Kansas scores on these national tests have stayed low for 15 years, state bureaucrats claim 86 percent of our K-12 students are now “proficient.” Education lobbyists then repeat just the inflated state test scores to demand more funding for schools. Due to the economic recession, the base state aid for schools was cut some under governors Sebelius and Parkinson but federal stimulus money made up the difference in most districts. Under Governor Brownback, the Legislature added money back into school budgets. However, over the past 10 years, school districts have spent $2.7 billion more to teach the same number of students. That is an increase of 56 percent. They also held back $874 million in their bank accounts last year. With more of our tax dollars being spent and kept each year to educate Kansas students while test scores remain flat, why are lobbyists claiming that schools need more money? Significant changes must be made to prepare our students for 21st century jobs. But using taxpayer money to sue the state to increase funding and repeating false claims about student achievement will not get Kansans where we need to be. So, it is up to the voters to elect responsible legislators, judges and school board members who will ask tough questions, demand honest answers and make the hard decisions needed to improve our public schools. By Dr. Walt Chappell, member, Kansas State Board of Education. Recent ads in Kansas newspapers have told the truth about the unacceptable level of reading and math scores for Kansas students. Yet, for Diane DeBacker, the State Education Commissioner, and education lobbyists to continue to deny these documented results from Kansas schools is a disservice to our students, their parents and taxpayers. This massive cover-up has gone on for years and needs to stop. All outside indicators of how well our schools are doing show that the federal No Child Left Behind (NCLB) mandates have been a major disaster and a tremendous waste of taxpayer money. Our students are not dumb plus our teachers and school administrators are doing what they have been told. But, largely due to these bureaucratic regulations, most students who graduate from American’s schools have not been taught the employable skills needed to compete for jobs in the global economy. This is not just a Kansas problem. Anyone willing to look at the facts can clearly see that major changes must take place in what and how we teach America’s children the concepts and skills they need to be productive adults. Yet, the Federal and State education bureaucrats and their lobbyists keep claiming that there is nothing wrong with public education — just give them more money to spend. Since the Montoy court decision in 2005, the Kansas legislature has appropriated $1 billion more for schools. But for the past 10 years, NAEP, ACT and SAT test scores still show that only about one-third of our students are “proficient.” With this new money, Kansas school districts hired over 6,000 new employees. And, since 2005, they had accumulated $868 million in unspent cash balances — an increase of 90 percent. Clearly, spending more tax dollars is not the answer to higher student achievement. In Kansas and the nation, one in four students do not graduate. Of those who do graduate and go to college, over 30 percent need remediation. Only half finish college yet most end up with huge student loans to repay — whether they earned a degree, can find a job, or not. A national commission has reported that 30 percent of high school graduates do not score high enough on aptitude tests to qualify to join the military. And, since the NCLB emphasis is only on teaching and testing reading and math, few students graduate with knowledge or skills for any other career. Clearly, the NCLB mandates from federal bureaucrats are failing to prepare our students and putting our teachers in a “no win” position of “teaching to the test.” But, the majority of the State Board has “rubber stamped” Diane DeBacker, the Kansas Commissioner of Education’s request that Kansas schools comply with the new Federal mandate to replace the Kansas standards with something new called the “Common Core Standards,” or CSS. However, there is no research to show that CCS will improve student achievement or that they are more relevant to what students need to learn. Yet, like NCLB, they will force teachers in every school to focus primarily on just reading and math so students can pass computerized national tests — which will replace the state assessments. As a result, there will be less time to teach all other subjects such as science, technology and careers. CCS are an unfunded federal mandate which will cost Kansas taxpayers millions of dollars to implement. These “new” standards were written by unknown, unelected, and unaccountable academics who have close ties to private publishing companies which will make billions of dollars of profits at the taxpayers, students and teachers expense. As a result, no Kansas elected official will be allowed to make key decisions about what and how students are taught in any K-12 school. The Kansas legislature and local school boards need to be strong and say “enough of this nonsense.” NCLB has not worked and CCS will be more of the same — but worse. Our students and nation are at risk of losing much of what previous generations have worked hard to achieve. Let’s put an end to the federal NCLB and CCS in Kansas schools, and let our teachers teach the employable skills our students need to earn a living wage and keep America strong. More information that Chappell has gathered may be found at his website, Walt Chappell: Main Issues. Kansas State Board of Education vs. Walt Chappell. There is another development in the tenure of Walt Chappell, Kansas State Board of Education member. Chappell holds some opinions that differ from the rest of the board, or at least the majority of the board, and they don’t like Chappell expressing his opinions in newspaper columns, etc. The board would rather have a unified front, even if the position taken is incorrect. Of particular, the issue of the unspent Kansas school fund balances has been prominent. Kansas Watchdog reports on a recent meeting of the board where the issue of Chappell and his speech was an issue. Protest on tax day. A message from Wichita State University Students for Liberty: “You are cordially invited to a tax protest on Friday, 15 April at 3:00 pm. It will be held on the southeast corner of 21st Street and Rock Road. I and several members of WSU Students for Liberty will be in attendance, and we welcome yours as well.” For more information see Wichita State University Students for Liberty. Tax day tea party events. AFP Kansas has a list of tea party events at Kansas Tea Parties. Nothing in Wichita, though. City government under control. From Reason.tv: “While cities across the country are cutting services, raising taxes and contemplating bankruptcy, something extraordinary is happening in a suburban community just north of Atlanta, Georgia. Since incorporating in 2005, Sandy Springs has improved its services, invested tens of millions of dollars in infrastructure and kept taxes flat. And get this: Sandy Springs has no long-term liabilities. This is the story of Sandy Springs, Georgia — the city that outsourced everything.” Click here for video. Kansas politics in National Review. Today Denis Boyles takes on Kansas politics in National Review Online, starting with well-deserved criticism of Thomas Frank’s book What’s the Matter with Kansas? He also predicts that Republicans will sweep all the statewide election contests. But the real target of this article is the Kansas Supreme Court and our state’s method of judicial selection. For those wishing to rely on the Kansas Commission on Judicial Performance as a source of reliable information about judges, Boyles describes it as a “Potemkin commission” that “spends $700,000 of taxpayers’ money annually running ads in support of retention and endorsing every single judge in the state.” Boyles says the problem with Kansas will be clear to everyone after the election: It’s the Kansas Supreme Court. National Center for Aviation Training ceremony today. As The Wichita Eagle’s Rhonda Holman notes in an editorial today, Sedgwick County has spent $52 million on a training facility for the aviation industry. At the time, industry leaders told us this was necessary to retain aircraft jobs in Wichita. It should be noted that this expenditure has not been sufficient, as since then Cessna, Bombardier Learjet, and recently Hawker Beechcraft have each hit up the state — and in some cases local government — for corporate welfare under the threat of locating jobs elsewhere. New Wichita schools divert attention. Two years ago the voters of USD 259, the Wichita public school district, passed a bond issue to build new schools and facilities. Today the Wichita Eagle describes a groundbreaking ceremony for two new schools. The problems with all the planning for the schools are these: First, it looks like the district is doing something to solve problems, when the path the district is taking is not likely to produce the promised results. Second, the district’s attention has been, and is now, focused on facilities, not the real problems the schools face, like an honest assessment of student results. Third, the district was in no way honest with Wichita taxpayers about the additional expense required to operate the schools after they are built. Fourth, more spending on government schools makes it even more difficult for families who want to pursue other paths for their children. Overall, a bad day for children in Wichita. Challenges for Kansas education. 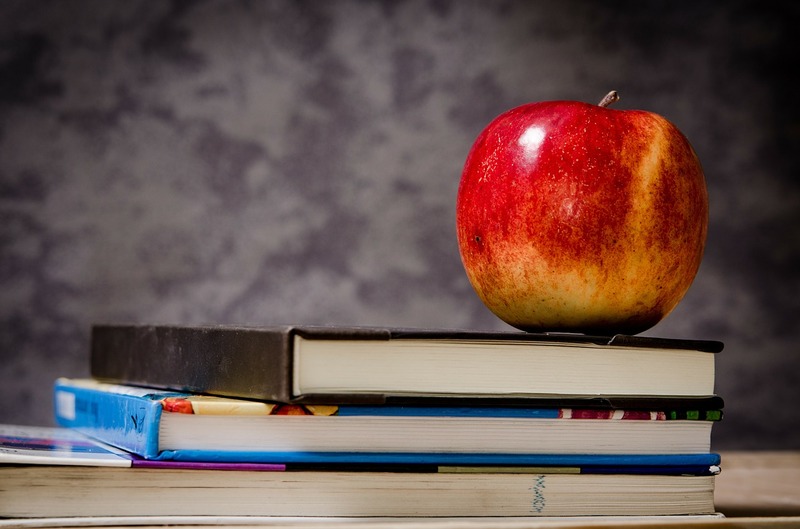 Speaking of, Kansas State Voard of Education member Walt Chappell contributes an article describing some problems with education in Kansas and some recommendations for policy changes. One problem is our priorities, as mentioned in the previous section. Chappell writes: “First, we need to change our priorities. More emphasis is needed on preparing our students to earn a living and financial literacy instead of on varsity sports. Currently, more money is spent on a few players to win the Friday night football or basketball game than to teach our kids the skills they need to get a job.” The complete piece is at State of the State KS. October surprises more difficult now. The popularity of advance voting in states like Kansas makes it more difficult to pull off an “October surprise.” This is a campaign tactic where unfavorable information about a candidate is sprung upon the public right before the election, the idea being that the accused candidate will not have time to react to the charges and voters will go to the polls on Election Day with the negative information fresh in their minds. Journalists probably won’t have time to react, either. We see examples of this technique in Kansas now with DUI charges against third district Congressional candidate Kevin Yoder. In the fourth district Raj Goyle is raising new charges against Mike Pompeo. But with perhaps as many as half the voters having already voted by the weekend before Election Day — the favorite time to launch an attack — the effectiveness of this technique is reduced. When should a campaign release the surprise charges? The good news is that with the expanded voting schedule, campaigns have more time to rebut or clarify charges, or disprove factually incorrect information. We saw this in the Republican primary for the fourth district, where last-minute charges by the Wink Hartman campaign were found to be lacking clear and convincing evidence. Advance voting regrets. With so many Kansas voters voting far in advance of Election Day, what happens if voters regret their vote? Suppose their chosen candidate dies or withdraws from the race? (Withdrawing is more likely during primary contests.) More likely, what if there is an “October surprise” that makes you want to change your already-cast vote? Personally, I still like to vote old-school style at my precinct’s polling place on Election Day. But for those voting in advance, there’s no need to mail in your ballot far in advance. As long as it arrives by Election Day, your vote will be counted just the same. The system of teacher tenure has suffered a blow that could spread to other parts of the country. The system of teacher tenure in K through 12 education deserves examination, and if we believe that schools exist for the benefit of schoolchildren, it should be eliminated. Since the rubber rooms are an embarrassment for all involved, the Times has reported that the past school year was the last for the rooms. Now, the worst teachers will perform administrative duties or be sent home. Advocates of tenure also argue that it is necessary to protect teachers from the arbitrary decisions of school administrators. There might actually be some validity to this argument, but tenure is the wrong response to the problem. It is said that school administrators — in a system without tenure — would practice “crony” hiring and promotion practices. They would reward their friends and family and punish their enemies or those they simply don’t like. These things happen in a system insulated from market competition, and institutions don’t suffer when they do. In the private sector, when a manager makes staffing decisions based on cronyism — instead of hiring and retaining the best possible employees — the profitability of the company suffers. If managers’ compensation is tied to profitability, they suffer when making staffing decisions based on cronyism. Even if they don’t suffer pay-wise, these managers will not perform well on their own evaluations. A system of market competition, however, forces each institution — schools, too — to be the best they can possibly be. When schools compete for students and funding, principals might learn to like their very best teachers, even if they don’t care for them personally. They also might learn how to evaluate and recognize the best teachers. That’s important, as it is becoming apparent that the personal characteristics of teachers are far more important to student success than the things that schools presently use to reward teachers — credentials, additional education, and longevity. The characteristics of teachers are also far more important than class size, which is another factor the education establishment focuses on. Eric Hanushek has estimated that students of the worst teachers will learn just one-half a year’s material in a year, while students with the best teachers will learn one and one-half year’s material in a year. This difference is far greater than the weak effect that school class size studies have found, and even those small findings are suspect. Presently some states are considering using student test scores as a way to evaluate and reward teachers. Student test scores are viewed as an objective way to evaluate teachers, one that is removed from the subjective evaluations of school administrators who, as shown above, don’t have a very strong incentive to hire and retain the best teachers. Any meaningful reform is strongly opposed by the teachers union and the education establishment. This makes Washington D.C. schools chancellor Rhee’s accomplishment all the more remarkable. How did Rhee accomplish this breakthrough? Earlier reporting in the Wall Street Journal mentioned the political support of Washington’s mayor, Adrian Fenty, and the fact that the Washington schools were just terrible. Her challenge lies ahead, as the Journal noted: “Ms. Rhee’s challenge now is to use the new rules forcefully enough to drive improvements because the unions will assume they can wait her out.” The union will probably sue over these firings. As seen in Kansas by the example of Kansas School Board Member Walt Chappell, if you’re not a team player, you’re going to suffer abuse from the education bureaucracy. Michelle Rhee does the once unthinkable in Washington. On Friday, Ms. Rhee fired 241 teachers — roughly 6% of the total — mostly for scoring too low on a teacher evaluation that measures their performance against student achievement. Another 737 teachers and other school-based staff were put on notice that they had been rated “minimally effective.” Unless these people improve, they too face the boot. The following article is by Dr. Walt Chappell, a member of the Kansas State Board of Education. A version appeared in the Wichita Eagle. Chappell has offered testimony to the Kansas Legislature on many ways that schools can reduce spending and fulfill their mission at the same time. See Kansas school district consolidation, reorganization testimony heard and At House Appropriations, Chappell presents Kansas school funding ideas. On Saturday, a legislative update was held in Wichita. It is clear that serious budget decisions must be made in the next two weeks by our legislators. Fortunately, existing cash reserves, cost controls and reduced spending can help balance the State budget to keep our schools strong and provide essential services for our most vulnerable disabled and senior citizens. If necessary, additional revenue can come by raising cigarette, alcohol and soft drink taxes without increasing the regressive sales tax. As one of the people elected to help maintain strong schools, I am certain that positive actions can be taken to support our teachers and students. The objectives of each elected official I know are not to lay off any classroom teacher. We also want to keep a broad curriculum for our students including vocational courses, art, music, P.E. and driver’s education. Here are some facts provided by the Kansas Department of Education and the Legislative Research Office. During the past 10 years, Kansas school district spending from all funding sources has jumped from $3 billion per year to $5.5 billion. This is a $2.5 billion per year increase to teach the same number of students. School districts started this school year with $1.5 billion in carryover cash balances. Of that amount, $700 million were in operating accounts which have increased by 53% in just four years. For example, Wichita schools began the year with $95.7 million in operating cash reserves. It estimates that $66 million remains for next year. There is no budget justification for eliminating any teacher’s job. Spending more money on schools does not produce higher student achievement. During these same ten years, NAEP, ACT and SAT national test scores for Kansas students have remained flat. About 25 percent of our K-12 students still drop-out before graduation. Wichita has 16 of the lowest performing schools yet has a higher than average cost-per-pupil. Only half of the people hired by school districts in Kansas are certified teachers. The rest are non-instructional or administrative staff. With the additional $1 billion the Legislature gave to school districts after the 2005 Montoy lawsuit, 6,000 people were hired. Only one-third were teachers. In the past four years, non-instructional operating costs are up $373 million across Kansas. School districts receive 52 percent of the state budget. Legislators must cut education funding to balance the budget. To offset these cuts, school districts can easily use a portion of the hundreds of millions in cash they already have in operating accounts. If more money is needed, they can cut non-instructional and administrative costs. No teachers should be laid off or courses eliminated. Our legislators have a tough job ahead. Each of them is trying hard to make sound budget decisions based on facts. We can help them by getting informed and encouraging them to keep essential services without raising sales or property taxes. Today’s Wichita Eagle carries an editorial by Kansas School Board member David Dennis taking issue with claims that Kansas schools have money that can be spent. At issue is the claim made by the Kansas Policy Institute and Kansas School Board member Walt Chappell that Kansas schools have hundreds of millions in funds that could be put to use to meet the current shortfall. See Districts Have Funds To Meet Projected $100 Million Shortfall for an explanation. The editorial by Dennis explains some of the major funds and their purpose, and gives their balances on July 1. But that’s not sufficient. To simply state that a fund has a balance of $x that is used for a certain purpose tells us nothing about whether that amount is the right amount. The evidence we do have tells us that the balances in these funds are more than needed. That’s because they’ve been growing rapidly, by 53 percent over the last four years. The only way the fund balances can grow is if schools aren’t spending the money as fast as it’s going in the funds. Dennis didn’t mention this in his editorial. So what Kansas schools could do, in many cases, is to spend down these funds. Kansas Policy Institute President Dave Trabert gave an example where a food service fund might have a balance of $10 million. Then suppose the district believes it will need to spend $15 million on food service. Instead of stocking the fund with $15 million of new funding, add just $5 million (plus a little more). This gives the food service fund the ability to do its job, but it frees up perhaps $10 million to be used for other purposes. It’s not only theses two — KPI and Chappell — that say spending down these funds is possible. Kansas Deputy Commissioner of Education Dale Dennis agrees. An effect of doing this will be that fund balances will be smaller, requiring schools to be careful. That’s not as comfortable as operating with the cushion of large balances. But these are difficult times, and people across the state are taking extraordinary measures. p class=”note”>The existence of these funds raises a question: Is it necessary to have so many funds? Do they restrict schools from allocating resources efficiently, to where they are most needed? So while the numbers Dennis uses are correct — as far as they go — it’s misleading to claim that a reduction in base state aid per pupil results in the same percentage decrease in total school spending. It’s dishonest for someone equipped with the knowledge and experience that Dennis has to make such a claim. It’s also further evidence of just how difficult it is to get accurate information. Schools have so much money — even in this tough economic climate — that they go out of the way to hide just how much they have. Sometimes school spending advocates are simply uninformed, as was Rep. Melody McCray-Miller last year when she disputed the per-pupil spending of the Wichita public schools. News from alternative media around Kansas for December 14, 2009. Will Copenhagen global-warming fiction influence Kansas? On Monday and Tuesday, the Kansas House Appropriations Committee held hearings, and big topics were Kansas school funding and the Kansas budget. The reaction by school spending advocates to two speakers is illustrative of the highly divisive nature of public school operation and funding in Kansas. We need to label them school spending advocates — and government schools at that — because it is increasingly apparent that increasing school spending (or avoiding necessary reductions in spending) at the expense of all reason is their goal. Suggestions that schools should operate more efficiently or learn to live with a little less — as many Kansas families and businesses are doing — will result in attacks on the messenger, sometimes unnecessarily personal in nature. Monday’s education-related testimony started with Kansas State Board of Education member Walt Chappell, followed by former Kansas Education Commissioner Bob Corkins. My reporting of their testimony is at At House Appropriations, Chappell presents Kansas school funding ideas and Corkins testifies on school finance history, recommendations. She made personal attacks on both Chappell and Corkins without making substantive criticism about their testimony. At the Kansas National Education Association (or KNEA, the teachers union), the “Under the Dome Today” newsletter carried a heading reading “Walt Chappell, Bob Corkins attack public education.” I heard no such attack from either speaker. They suggested ways that schools could operate differently to save money (Chappell) and to organize their reporting and accounting to better track spending and results (Corkins). To the Kansas education establishment, evidently, these suggestions represent unwanted meddling in school affairs. Reacting to the testimony of Chappell and Corkins, one leftist Kansas blog took the committee and its chairman to task for holding “a hearing that was lopsided even by Adolf Eichmann’s standards.” I was there for the entire afternoon, and after these two spoke, I heard three school district superintendents plea for more funds. Then, topping off the day was chief school spending and taxing advocate Mark Tallman, the lobbyist for the Kansas Association of School Boards (KASB). There was, believe me, much pleading for more school funding. The backdrop of all this is that the actual decrease in Kansas school funding, when considering all sources of funding, is quite small. As of August — before the governor’s cuts on Monday — estimated Kansas school spending per pupil for the 2009 to 2010 school year, when considering all sources of school revenue, fell by only 0.64%. That’s quite a bit less than one percent. It’s a rounding error, a fluctuation that could also have been caused by events such as, say, a cold winter causing higher utility bills. It’s an event that should have no affect on the ability of the schools to educate children. The reductions the governor made on Monday will increase the cut that schools will have to absorb. When considering this, it’s important to remember that schools fared much better than many state agencies this year. Schools still have a tremendous amount of money to work with, a fact that schools work hard to hide. Strong evidence that schools have plenty of money is that fund balances have been increasing. The way that these funds — and we’re talking about nearly $700 million in operating funds, not capital funds — increase their balances is by more money going in than is spent. The uncovering of the existence of these balances is strongly attacked by school spending advocates. Despite many school administrator’s claims, sunlight and transparency is not their goal. Topeka, Kansas — At today’s meeting of the Kansas House Appropriations Committee, Walt Chappell presented ideas on increasing efficiency and reducing cost in Kansas schools. Chappell, a Democrat from Wichita, was elected to the Kansas State Board of Education last year. He has 40 years varied experience as a businessman, former science teacher, college and university faculty, administrator, and education budget director. His testimony today was presented as his own, and he traveled to Topeka to present it at his own expense. Second, reduce the number of school districts. Chappell says that $300 million a year could be saved by merging the 296 Kansas school districts into about 40 districts, each with 10,000 or more students. 252 of Kansas school districts (85%) have fewer that 2,000 students. It’s not cost-effective, according to Chappell. The larger school districts will make more efficient use of administrators, teachers, transportation, maintenance, and purchasing power. Better use of existing facilities will result. Third, increase the productivity of K-12 teachers and college faculty. Chappell says that each K-12 teacher must be in the school building not less than eight hours per day: “A full day’s work for a full day’s pay.” Teachers should teach at least six class periods, and then remain in the building to grade papers, hold parent-teacher conferences, help students who are having problems, and attend in-service training. One of the benefits of this will be the need to reduce in-service days, which, according to Chappell, “cost millions of dollars with questionable improvements in instruction.” This emphasis on productivity is needed, he said, because 80% of budgets goes to personnel. Fourth, place a temporary hold for two years on the state matching funding for school bond projects. Chappell held up one of the “25%” buttons used to promote the Wichita school bond issue last year. That number refers to the portion of bond spending that the state would pay. He made the point that voters outside the Wichita school district, for example, didn’t have the chance to vote on whether they wanted to help the Wichita district build new facilities. He also said that many of these building projects have low instructional value. Fifth, there should be “pay to play” for K-12 varsity sports. Chappell said that three to four percent of Kansas K-12 spending goes to varsity athletics, while at the same time only one percent goes to vocational education to teach students employable skills. Which is more important? Sports boosters and parents of student athletes need to pay the extra costs of athletics. Sixth, change the definition of an at-risk student. Currently, the definition of at-risk is based on the parents’ income. But this is an artificial measure, Chappell says, that has nothing to do with a child’s ability to learn, so this weighting in the school funding formula needs to be changed. In total, Chappell said that these measures would save $500 million each year, and school districts would have more flexibility. A questioner said that in all his information, Chappell didn’t mention quality of education or student achievement. Chappell responded that in larger, regional school districts, teachers would have fewer preparations, and teachers would be able to concentrate on what they do best. He also said we should concentrate on building facilities that would teach students employable skills — vocational education — rather than things like swimming pools. A question about consolidation brought out the point that most of the talk about consolidation has been along the lines of merging two small districts, creating one still small district. This type of consolidation won’t produce the savings we need to realize. With larger consolidation, some schools might need to be closed, but savings could be on the order of $1,500 to $2,000 per student, per year, which is a great deal of money across the state. Chappell added that some school districts are so strapped for funds that they won’t be able to survive much longer on their own. Another question asked how many certified teachers working in Kansas school districts do not teach students. Chappell replied that this is a new concept, the mentor or teacher coach, and there’s a lot of money spent on this. The issue of large unencumbered fund balances in Kansas school districts is starting to receive the attention it deserves, although school spending advocates are not pleased, with Kansas Watchdog reporting one Kansas state board of education member recently saying “Please, lets stop talking about $1.3 billion in unencumbered funds.” (That’s last year’s number, as this year it has grown to $1.5 billion.) It’s uncontested, however, that these fund balances are growing, which is evidence that schools have been collecting more money than they have been spending. These balances are not spread uniformly across school districts, however. More information about this can be found at Extra money in Kansas school funds could help with budget. School consolidation in Kansas is often portrayed as an issue affecting primarily sparsely-populated areas in western Kansas, where consolidation may mean that students would have to travel long distances to a reduced number of schools. Speaking with Chappell afterwards, I learned that Ellis county has seven school districts. There’s no good reason, he said, why these districts can’t merge. Chappell’s idea that teachers should spend eight hours in the school building was met with resistance from two committee members in their questions. Often the debate on school funding is cast by school spending advocates as a war against teachers. Chappell wants to make better use of labor and school facility resources so that more time can be spent on instruction. A link to Chappell’s testimony is Kansas School Testimony by Walt Chappell 2009-11-23. In the following report, investigative reporter Paul Soutar of the Flint Hills Center for Public Policy takes a look at school spending in Kansas. Particularly troubling is the decision to abandon an audit already in progress. A recent decision by the 2010 Commission to not complete an efficiency audit of K-12 schools in Kansas may undercut the case for increased spending on schools. Three years into its existence, the 2010 Commission asked Legislative Post Audit (LPA) to conduct the first efficiency audit of K-12 school districts. But in its June 29 meeting, Commission members voted to cancel the second half of the audit. Commission chair Rochelle Chronister told members that district administrators are too busy dealing with budget cuts to complete the audit. 2010 Commission member Dennis Jones supports the decision not to complete the audit as originally requested. “We’re in a time of severe economic stress for everyone and school districts are also feeling the pinch. It seems to me that it’s not the best or most efficient use of the districts’ time to be inundated with a bunch of housekeeping questions about efficiency. I think it’s better use of manpower to get budgets prepared and to prepare for next school year. Districts can voluntarily complete the audit but so far only two of the state’s 294 districts, Derby and Ellinwood, have chosen to do so. Do the districts manage their personnel, facilities, and other resources in an efficient and economical manner? Do the districts follow best practices for financial management to ensure that their financial resources are protected? The 2010 Commission suspended the second phase of the audit at its April 2009 meeting, and asked LPA to review the available data looking for trends or patterns that shed light on districts’ efficiency. At the May meeting, the commission asked LPA to contact districts and offer help in finding ways to operate more efficiently. The second phase of the audit was effectively canceled and the new scope of the audit was: How do school districts compare on various measures of efficiency? The utility of that evaluation is limited, according to the LPA report, because districts do not uniformly report statistics to the Kansas Department of Education (KSDE). Reporting errors could be evaluated and corrected by completing the original audit plan. School districts don’t report certain types of data consistently, making meaningful comparisons difficult. According to LPA, some district employees don’t know the accounting standards or ignore training. For example, the LPA report says the Goessel district reported spending an average of $4 per student on student support services for 2006-07 and 2007-08 when, on average, the 121 districts examined in the report spent $242 per student in that category Goessel officials told LPA they reported certain contracted student support services as instruction expenses. Previous LPA reports, a Standard & Poor’s audit and even administrators at KSDE have stressed the need to follow standardized accounting practices. A March 2002 LPA audit found that laws, policies, and practices related to school district budgets are flawed in some areas including inconsistent reporting that makes it difficult to know how much money a district is taking in or how money is being spent. Iliff says those problems still exist. “The people Chronister asks to to speak to the Commission appear to create a stacked deck,” Iliff said in a recent phone interview. Nine district superintendents appeared before the commission June 29 and each asked for more money, either through additional state revenue (more or higher taxes), funding to levels previously budgeted by the Legislature or adjustments in the formula. Their testimony was punctuated with stories of dramatic increases in the number of poor and special needs students and English language learners. Most had data purporting to show significant increases in student performance as measured against State assessment tests, but no comparisons were made to national achievement tests, which show much lower proficiency levels. Mark Tallman, Assistant Executive Director/Advocacy for the Kansas Association of School Boards was the concluding witness before the 2010 Commission on June 29 and presented data in support of the superintendents’ pleas for more money. Data used use to show increases in student performance are connected to increased funding is deceptive according to Iliff. “Before the increases in cash because of the Supreme Court decision the graphs were already heading upward.” Iliff says he believes the trend is more the result of the standards and sanctions put in place by No Child Left Behind. School superintendents also made their case for increased funding. Brenda Dietrich, superintendent of USD 437, Auburn-Washburn schools in Topeka, asked the commission to urge the legislature to provide the funding that was initially budgeted in conjunction with court-mandated spending increases. Proponents of increased funding say the legislature is in violation of the Kansas Supreme Court’s order if they don’t provide the funding. Dennis Stones, superintendent of USD 441, Sabetha, asked that the legislature seek additional revenue streams and enact a moratorium on tax breaks and tax cuts. His district is cutting activities including some athletic games and freshman football. Beth Reust, superintendent of USD 270, Plainville, said her district tried to eliminate driver’s education to help balance their budget. After strong reaction from the community it was reinstated along with a $350 tuition charge. The district planned for 28 students but only 15 signed up because some parents found a better deal; a neighboring district offers the class for $150. According to Chronister the current focus of the commission is urging the legislature to find additional money for schools.